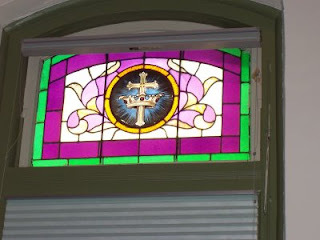 Once upon a time, being a faithful Baptist church member meant attending the following: Sunday School and worship on Sunday mornings; Disciple Training (or Training Union or Baptist Young People’s Union-- based on your generation) and worship on Sunday night; and midweek activities on Wednesday—usually a fellowship meal and auxiliary activities like prayer meeting, program organizations, etc. Of course, if you were a deacon, member of the choir, a committee member, or on a softball team, the hours continued to stack up. I serve as Adult Division Director of the Sunday morning Bible Study program in our church. As a result, I regularly see reports of attendance. As I look over these, I see that some of our most committed people, individuals that I would identify as Christian disciples, are not in Bible study every Sunday. If they are not at Bible study, they are probably not in worship. We don’t have Sunday night activities and Wednesday night programs draw a much smaller percentage of participants than Sunday morning activities. My somewhat unscientific appraisal is that some of most committed people are only in the church building twice a month. My response: Get used to it! Even though someone is not there every Sunday, he or she is probably connected to an affinity group—a Bible study class—through phone calls, social media, and regular group activities. This group provides fellowship and ministry throughout the week. Many are involved in volunteer mission and ministry activities on a regular basis. Some are serving in not-for-profit settings. A number are couples, single parents, and grandparents who are raising children and attempting to model the Christian walk for their children. When their children are not in church, they are Christian educators for them. They are business people, tradespeople, educators, professionals who are being the body of Christ wherever they are. The are on mission where they are. In short, they are living out their discipleship outside the walls of the church. Rather than bemoaning the fact that these disciples are not in the pew on Sunday morning, we should celebrate the times when they are present and focus on encouraging and empowering them. Coaches are not problem-solvers; they are people developers. Why do I say this? Recently, coach Kim Avery posted this statement: “Coach the person, not the problem.” This fits quite well with the continuing education idea. The goal of the coach is for the person being coached to be able to develop the skills that assure personal growth and achievement. 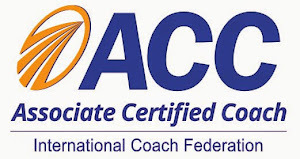 The coach is helping the client to learn how to handle challenges and problems for themselves. If I am addressing the problem rather than the person, I am serving as a consultant and not a coach. As a consultant, I am sharing from my own expertise to unravel a difficult situation and find a solution to it. The next time the person needs a problem solved, they will be back for a session! Since the coach is responsible for the process and not the content in a coaching conversation, he or she can model for the client a process that can be utilized for future challenges. The problem changes; the process is consistent. Some coaches will probably cringe when I say this, but coaches can work themselves out of a job. This is not a bad thing. If we can help a person develop problem-solving and execution skills, we have helped move the client to the next level of ability. This doesn’t mean that the person will not come back in the future for additional coaching but the coach’s goal is not to create dependency but independence. Looking for a coach to help you learn how to process your big challenges? Let’s talk. Herbert Hoover was the 31st president of the United States and the first from west of the Mississippi. For some reason, I have done little reading about his life and his presidency. I knew, of course, that he was in office when the Great Depression began and that he served only one term in office, losing to Franklin Roosevelt in the 1932 election. So when I visited the Hoover Presidential Library and Museum in West Branch, Iowa, I had a lot to learn. I found things about Hoover that are praiseworthy but also some things that troubled me. I struggled to find a lens to use in understanding the man, his life, and his legacy. Surprisingly, I found it by thinking about another president who only served one term—Jimmy Carter. There are a number of similarities and some key differences. Both were molded by a strong religious faith—Hoover as a Quaker and Carter as Southern Baptist. This influenced many of their decisions in office and also contributed to a title that can be applied to both men—humanitarian. Both were concerned about the basic needs of those with the least. Hoover was the first president from Iowa; Carter was the first from Georgia. Both grew up in rural surroundings, but Carter’s family was rich compared to Hoover’s. Hoover became an orphan at 10 and was sent to live with relatives in Oregon who helped him develop a strong work ethic; Carter had a doting mother and father who encouraged his development and dreams. Both were engineers—Hoover was trained as a geological engineer, Carter as a nuclear engineer in the Navy. Hoover used his skills and ambition to make a fortune; Carter served his country and went back to peanut farming and politics. Both brought a concern for details to public service that only an engineer can. While in office, both faced significant economic and foreign policy challenges beyond their control. Hoover, of course, was undermined like the rest of the country by the Depression. He also was pushed to face up to frightening developments overseas such as an imperialist Japan invading Manchuria and the rise of Fascist Germany (he wanted both to go away because he did not want to involved in another war, so he tended to ignore these issues). Carter was challenged by inflation and gas shortages at home and the Iran hostage crisis overseas. Certainly, these are the types of problems that made both of them one term Presidents. Both entered office with a great deal of national optimism and as virtual heroes. Both left under a cloud of failure and ridicule. Both men had extraordinary second acts. Hoover was invited by President Harry Truman (although Truman was a Democrat and Hoover a Republican) to help rebuild Europe after World War Two and provide recommendations on government reform. Hoover became a prolific writer and an honored advisor to both Republican and Democratic Presidents until his death in 1964. Carter also has had a great impact as a former President by addressing both social and political issues through the Carter Center and such organizations as Habitat for Humanity. He has also written a number of books, many expressing his faith. But he has done it primarily on his own. Even his own party has tended to marginalize him in political matters. There is much admirable about Hoover—he provided food relief to Belgium during WW I and other countries after the war; he was the most ambitious Secretary of Commerce of all time, initiating radio protocols, regulating air travel, and standardizing building supplies; he fought for and achieved the building of the dam that bears his name; and he had a good second act as a senior statesman. Most Presidential Museums have great quotes from the person they honor, inspirational words that motivate and encourage. I did not see much of that at the Hoover Museum, but I did see the record of good works and a love for humankind. That counts! As some churches today find that they are no longer sustainable, they seek alternatives for the future. One of these options is merging with another church. This happened with my home church in Mobile, Alabama, about three decades ago. 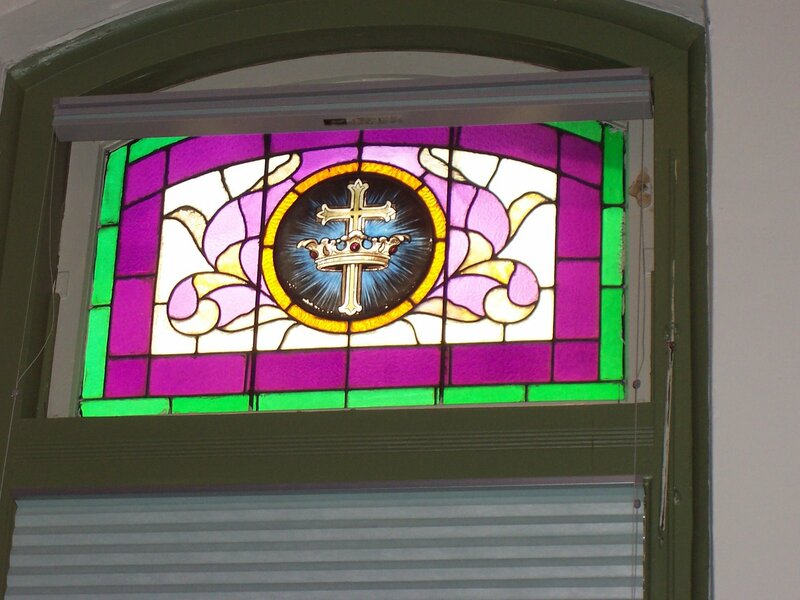 They found themselves unable to continue to minister in the neighborhood where they were located and merged with another congregation that welcomed their resources—both financial and personnel. 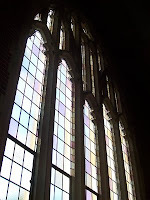 I have also seen the aftermath of several church mergers—both successful and unsuccessful. I am not an expert on church mergers but became involved in a text exchange this week with a colleague on the subject. “If we can just get an infusion of new blood, we can continue to do the things we have always been doing.” This person is in denial. The value of blood transfusions doesn’t do much for a body with a terminal disease. “A merger will maximize our strengths and minimize our weaknesses.” If both congregations are already in decline, their result of their consolidation will probably produce one weak church in the place of two weak churches (see terminal disease above) rather than a strong church. “Our problem is not mission but resources. Combining our resources will make us stronger.” This is the idea of painting over a crumbling wall. Assuming each church already has a mission, then the mission of each is either wrongheaded or inadequate. Unless both are willing to throw out the goals they have pursuing and adopt entirely new ones, a successful merger and a healthy church are unlikely. There are church mergers between a strong church and a weaker church, but most mergers are created from two churches on the edge of survival. Each group must be willing to be “born again” with a new mission and purpose if the outcome of the merger has the possibility to thrive. In the case of a stronger church and a weaker church merging, the identity and culture of the stronger church will most likely predominate because they are already doing something right. The challenge then becomes assimilating the new people and helping them buy into the new culture. That is a topic for another day. Christian Coaches Network International’s MAXIMIZE 2016 e-Summit will be presented online September 29 to October 1. This year’s virtual conference brings together the Christian Coaching industry’s top speakers and leaders sharing their best-kept secrets on how to maximize your coaching practice. I have been invited to present a seminar on “Creating Opportunities to Coach Clergy” on Saturday, October 1. You can get more information or register here. 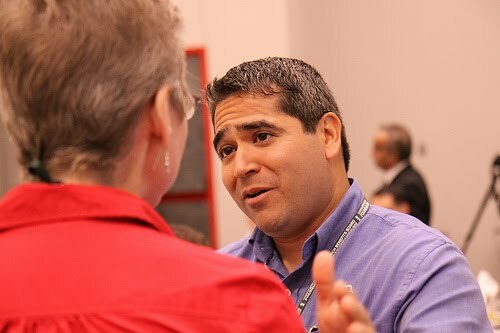 I usually come away from the Willow Creek Global Leadership Summit with ideas to pursue, new books to read, and at least one new “person of interest”—someone I did not know about before and whose work I would like to learn more about. 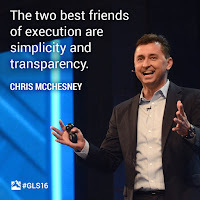 The speaker who was the “person of interest” for me this year was Chris McChesney, the Global Practice Leader of Execution for Franklin Covey. 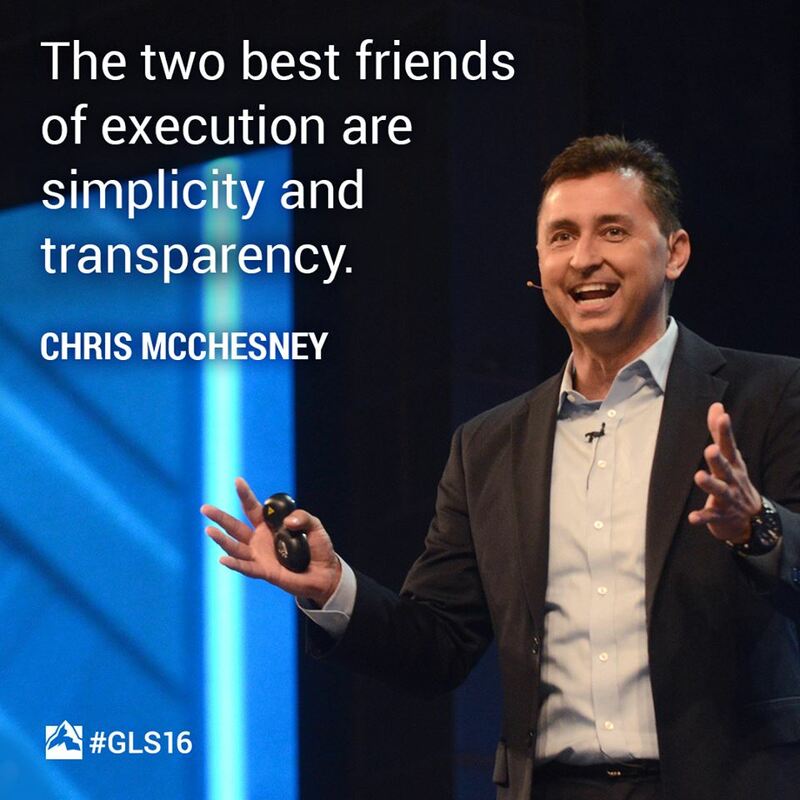 McChesney is the co-author of The 4 Disciplines of Execution and is a very dynamic presenter. 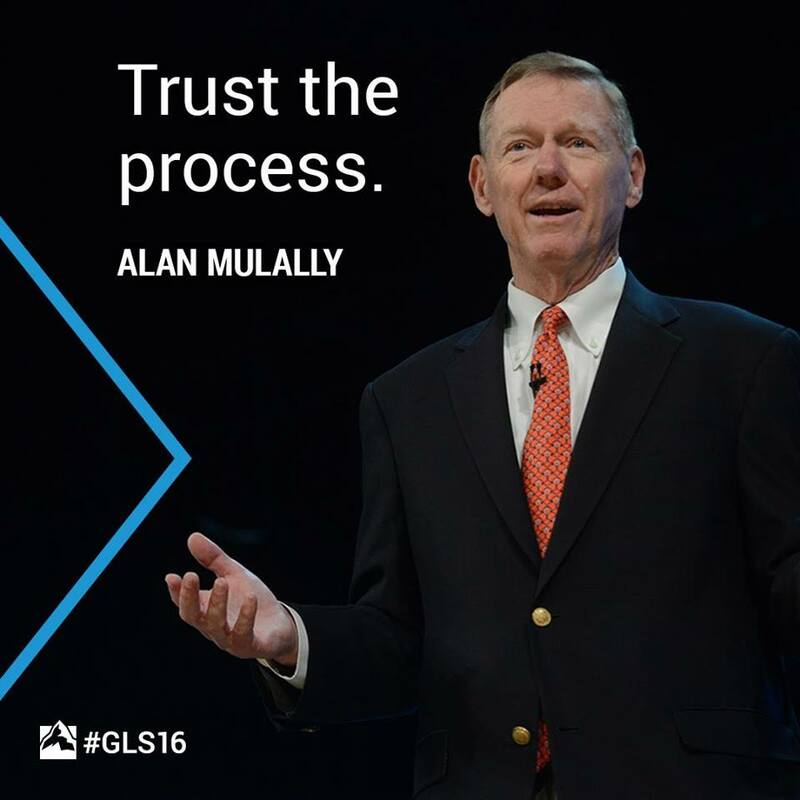 He emphasized something that most leaders have learned the hard way—developing strategy is easier than executing that strategy (just ask any church that has produced a strategic plan and never looked at it again). He explained that execution involves people and a change in human behavior which is often hampered by the system in which they function. His insights were helpful and I look forward to reading the book. Another speaker that I anticipated hearing was Erin Meyer, an instructor at INSEAD, a prominent business school in France. 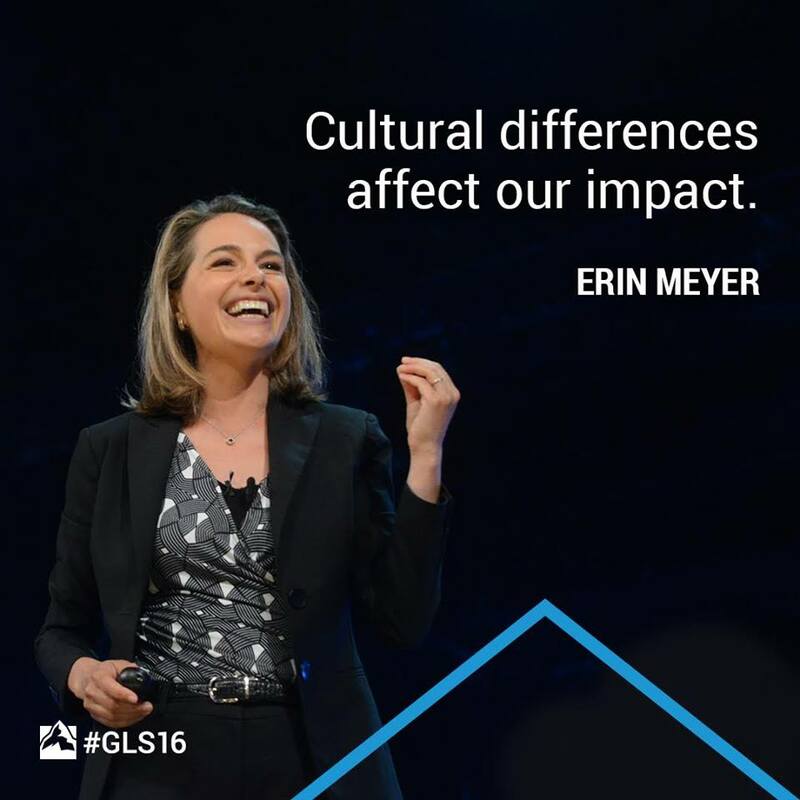 Originally from a small town in Minnesota, Meyer is married to a Frenchman and (as she said) has “French children.” Her area of expertise is navigating the complexities of cultural differences in multicultural work environments. I read her book The Culture Map prior to the meeting because this is a topic of special interest to me. Cross-cultural effectiveness is not limited to business but should be a concern of educators and ministry leaders as well. I am glad that I had read the book and I appreciated Meyer’s enthusiasm for her subject but it was like drinking from a fire hose. She had too much material and too little time. I love the book and have already recommended it to several friends. It is very insightful and challenging. 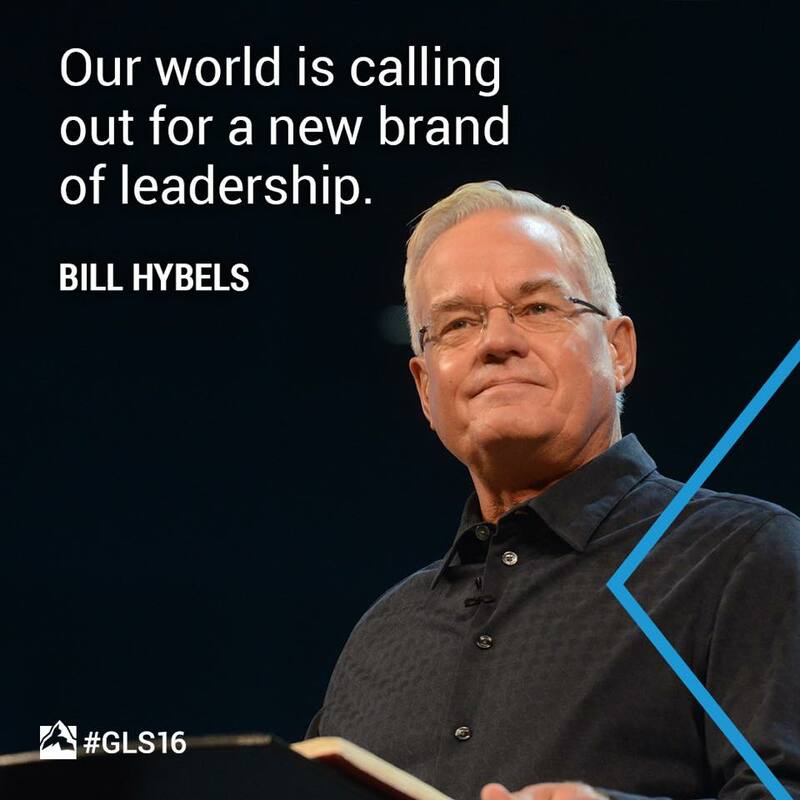 One of the most inspirational parts of today’s program was Bill Hybels’ interview with Bishop T.D. 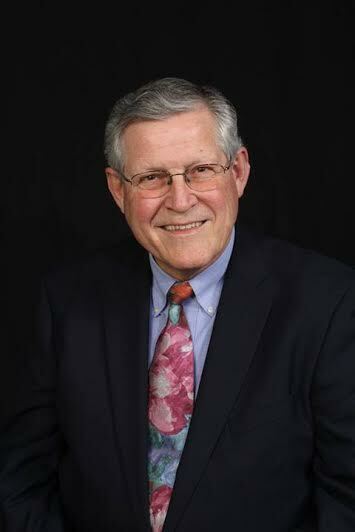 Jakes, founder and senior pastor of The Potter’s House. Jakes is a ministry entrepreneur who understands that the gospel must get outside the walls of the church and use the tools of culture—music, publishing, motion pictures, and television—to engage people. He is a strong personality, but he realizes that he can’t do it alone. As he told Hybels, “If you can accomplish your dream on your own, your dream is too small.” You need God and you need a team. There was much more to today’s program, but I once again appreciated the opportunity to be exposed to a premier group of speakers who want to make a difference in the world. I think everyone this year was a professing Christian, but Hybels and his team are open to learning from those who have little or no Christian commitment. If we are to engage the culture, we must listen to the culture. The Summit is a good place to do that. No, we are not talking Tennessee Basketball here, but the Global Leadership Summit sponsored by the Willow Creek Association. The conference is held live in South Barrington, Illinois, each year and broadcast to 590 locations across the United States. It is also repackaged and presented in over 125 countries around the world. I have often said that Willow Creek, the parent congregation, knows how to do big church better than anybody else. 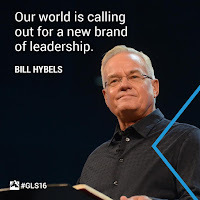 One reason is Bill Hybels, the pastor, who can get a bit emotional at times, but is willing to address social issues (like AIDS, racial relations, and the refugee crisis), is clearly a lifelong learner, and is remarkably transparent about his struggles and those of his congregation. 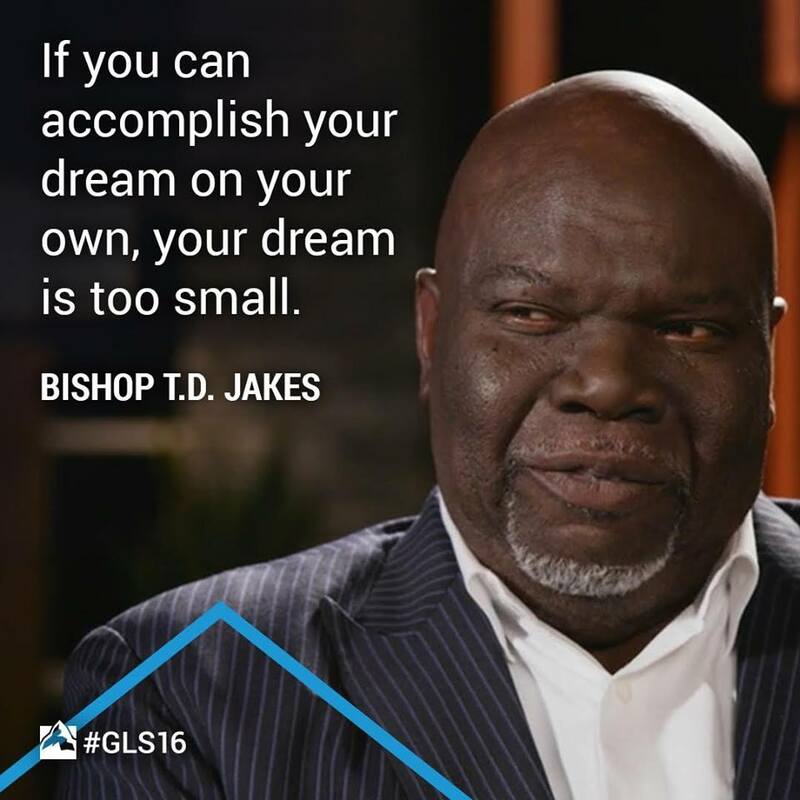 Once again, the Summit has brought together a great line-up of speakers—leadership gurus, business leaders, ministry entrepreneurs, and preachers—to challenge and inform. Hybels himself is one of those people. His leadership “talk” today addressed vision, people development, and legacy. Although he admits he had some bad role models early on when it came to working with people, he clearly enjoys seeing leaders blossom in the church and he shared some of the processes Willow Creek has adopted to assure that happens. 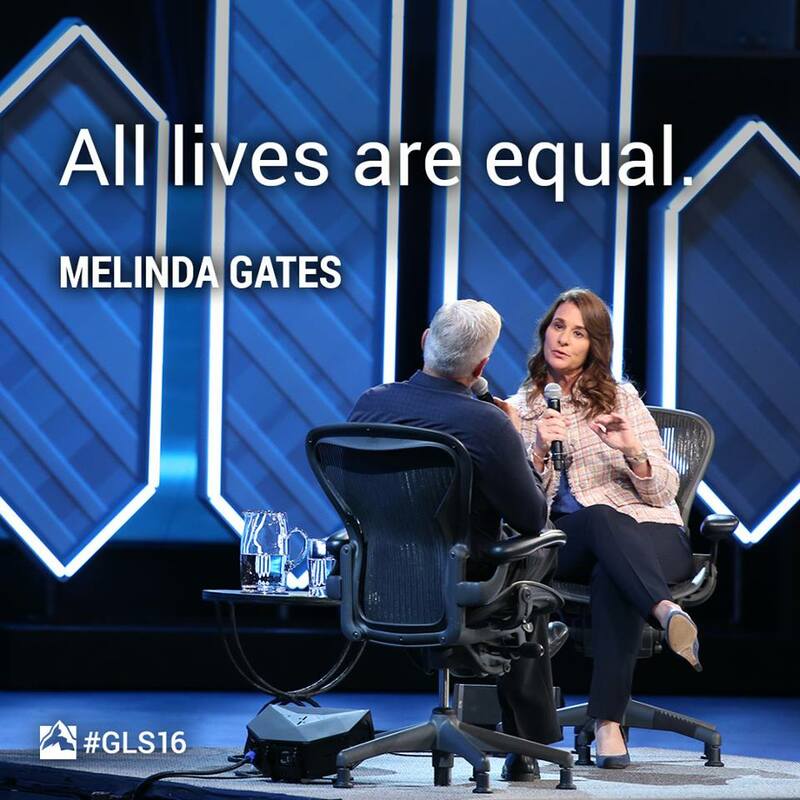 Hybels also did an interview with Melinda Gates (yes, THAT Melinda Gates). 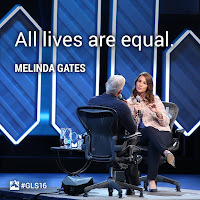 After some chit chat that seemed to leave her a bit bored, Hybels got down to the passion that drives her and husband, Bill, to want to change the world. For Melinda, it is rooted in a Catholic school upbringing and furthered by her intelligence and compassion. She seeks to find answers and not just offer solutions. She talked about sitting with women in emerging countries to ask questions and listen. Much like someone doing asset-based community development, she comes as a learner not an expert. CEO of the Ford Motor Company. 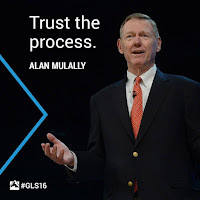 When Mulally came on board at Ford and was asked if he could handle the complex auto industry he responded that automobiles had a few hundred parts and he was used to working with something that had thousands of parts and also flies! He is evidently a humble and exceptional leader. 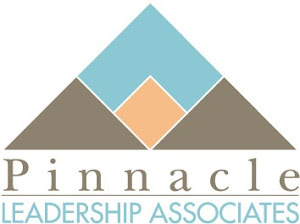 Leadership gurus included Travis Bradberry, one of the authors of Emotional Intelligence 2.0, who provided a quick introduction to emotional intelligence and Patrick Lencioni, one of my favorites, who gave an overview of the ideas in his new book The Ideal Team Player. One of the most dynamic speakers of the day was preacher Jossy Chacko, founder and president of Empart, Inc., who challenged participants to enlarge their vision, empower their people, and be willing to take risks. My takeaway from today was that there was strong common thread about investing in people. Whether they are leaders in your organization or the poor at your door, people matter. If you invest in people, you are doing what God has called us to do. 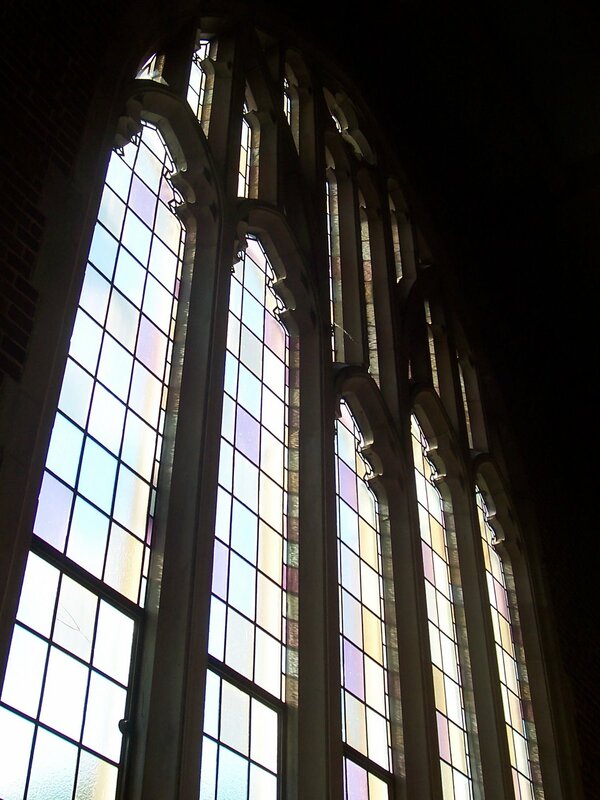 What is the Purpose of a Theological Education?